Free radicals are molecules that are highly reactive and, while not entirely bad as they are useful to the body in small quantities, they can become a problem. The reason being is that free radicals lack an electron and because of this, they are unstable. 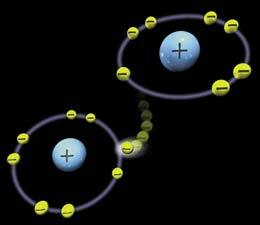 To become stable, they must get some other molecule’s electron. When the free radical steals an electron, which will be from the closest molecule to it, it turns the molecule it stole one from into a free radical. Thus the cycle continues. Well, sometimes free radicals can bind with molecule that they shouldn’t, such as DNA. When this happens it can cause the cell which the DNA belongs to start growing rapidly. This can be the start of cancer and that is why free radicals are so dangerous.